Kim Eun-ju of Ohmynews has made a visit to Juwang-san in Cheongsong-gun, Northern Gyeongsang-do and wrote an article beautiful both in writing and photographs. Juwangsan is also the area of Jusanji pond, where the shooting of Kim Ki-duk's "Spring, Summer, Autumn..." took place. There's also the Daejeonsa temple, and Naejeon, a village without electricity. The couple keeping a lodging place in the village tells they are used to life without electricity: "if we'd have electricity, we'd just be sitting in front of the tv all day until the national anthem." There are nine households in the village, and all are claimed to be happy living that way. I guess those who weren't do have an option to leave, and most have done so, as there used to be even a school in the village. I feel like making a trip there right away, but there are certain difficulties like the geographical distance at the moment. Perhaps next year. Hankyoreh21 has a travel article also titillating one's sense of nostalgia and travel romanticism: taking a train to small stations to see mountains in autumn colors. • Huibangsa station in the Central Line (Chungangsôn) before Yeongju in Northern Gyeongsang, close to Huibangsa temple in the Sobaek mountain. • Samtan Station in the Northern Chungcheong Line (Ch'ungbuksôn), Samcheok-myeon, Chungju city. • Tongni Station in Yeongdong Line, Gangwon-do; east of the city of Taebaek, 680 meters from sea level. The former presidents of the Republic of Korea have provided spammers nicely with material. Last spring I was approached by Mr Jang Doo-Hwan, the "brother of the former president Chun Doo-hwan." This time I received a message from Mr Noh Dae-jung, the "The brother of GENERAL. NOH TAE-WOO, the former President of South Korea." My name is NOH DAE-JUNG, The brother of GENERAL. NOH TAE-WOO, the former President of South Korea who ascended to power through a popular electoral victory in 1988 to 1992. After serving duly, he was accused of mass embezzlement which ran into billions of won because of the GREAT OLYMPICS 1988 which brought Korea to the world lime light, and was arrested but released after long years of incarceration and now under scrutiny. Before my brother's was overthrown, I secretly siphoned the sum of 30 million United States Currency out of Seoul and deposited the money with a security firm that transports valuable goods and through diplomatic means.I am contacting you because I want you to deal with the security company and claim the money on my behalf since I have declared that the consignment belong to my foreign business partner. You shall also be required to assist me in investment in your country. I expect you to declare what percentage of the total money you will take for your assistance. When I receive your positive response I will let you know where the security company is and the payment pin code to claim the money which is very important.we do not want the government of my Country to know about the money because they will believe I got the money from my brother while he was still in office as president .Once you confirm the receipt of the money ,I will come over with my Children to your Country or any Country in Europe to start a new life with my Family. What I'd really like to know is whether the other brothers Noh Chung-hee and Noh Doo-hwan are also going to be business partners. If not, count me out. What is quite funny is that the Noh family (don't know anything about any brothers) has a quite a nice history of embezzlement besides the president's bribe funds. His daughter's cash smuggling in the 80s, brother-in-law Chey Tae-won's (this daughter's husband) escapades with accounting frauds... So there might actually be a won or two available. 지난 달 우리집에서 블루베리를 보관하기 위해서 담그는 것에 대해서 블로그한 적이 있다. 이번엔 이 빨간 열매는 아내의 회사동료 아들이 딴 게 아니라 그냥 시장에서 산 것이다. 블루베리처럼 이 열매는 한국말로 아마 낱말이 따로 없을 것이다. 검색을 좀 하다 보니 역시 영어에 따라 "링거베리"라고 하네. 우리집에선 "부얼룩가"라고 한다, 핀란드니까. 한국말로 할 때도 한국에서 쓰이는 영어낱말 대신 핀란드말이 자연스럽게 나온다. "부우로에다 부얼룩가 넣으면 맛있다" (=죽에다 링건베리를 넣으면 맛있다). 15킬로 담근 것은 많아 보일 순 있지만 작년에 이보더 배로 (아님 3배였나?) 한 것도 봄 되고 전에 바닥났다. 아내는 기회가 되면 더 살 거란다. 이것은 5킬로는 10-12€(킬로당 한 2€, 2500원)였는데, 앞으로 가격이 아마 올라갈 걸. 링건베리를 냉동실 없이 보관은 블루베리나 사과보다 쉽다. 열매는 그만큼 시니까 냉장실에서 거의 그대로 보관이 된다. 신 맛은 좀 달콤해지기 위해서 우리는 설탕을 넣었지만. 상당수 영세자영업자가 저소득으로 인해 도시 빈민으로 떨어질 위기에 놓여 있다는 분석이 나왔다. 한국노동연구원 금재호 노동보험연구센터 소장은 25일 ‘성장과 고용의 선순환을 위한 고용전략의 탐색’이란 연구보고서에서 이같이 밝혔다. 이 보고서는 2004년 기준 세금을 뺀 자영업자들의 실질 월평균 소득 분포에서 소득이 100만원을 밑도는 자영업자가 37.2%에 이르렀다고 지적했다. 이 가운데 7.6%는 아예 적자를 보았으며, 50만원 미만 9.0%, 50만∼100만원 20.6%로 나타났다. 100만∼200만원 30.8%, 200만∼300만원 16.6%, 300만원 이상은 15.5%로 조사됐다. 지난해 자영업자들은 주당 무려 59.19시간을 일해, 임금노동자들의 50.21시간에 견줘 무려 9시간이나 많이 일했다. 뼈빠지게 일했지만 소득은 쥐꼬리만했다는 것이다. 자영업자의 소득을 성별로 보면, 남성의 월평균 소득은 246만원인 데 견줘 여성은 남성의 66% 수준인 163만원으로 나타났다. 월평균 소득을 나이별로 보면, 40대가 239만원으로 가장 많았고 30대 236만원, 50대 232만원 차례였다. 60살 이상 고령자는 153만원이었다. 학력별로는, 중졸 184만원, 고졸 229만원, 전문대졸 264만원, 대졸 이상 294만원 등으로 학력이 높을수록 소득이 많았다. 이와 함께 자영업자들은 창업 자금을 76.4%가 자신이나 가족, 친지 등에게서 구한 것으로 나타났다. 금융기관 13.2%, 타인 및 사채업자는 5.7%였다. Ylämäkeen vievä hiekkatie metsän siimeksessä, kivien lomassa soliseva puro; aivan kuin olisi ollut matkalla temppeliin vuorilla. 숲속 그늘에서 오르막 모렛길, 옆에서 솔솔솔 흘려가는 개울물; 한국에서 절에 올라가는 것 같았다. 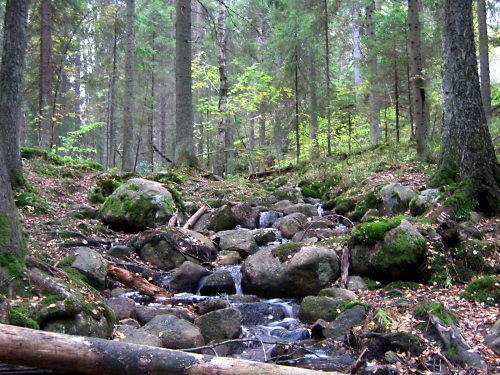 Uphill path in a shadowy forest, sound of water streaming down between stones in a brook: felt like being on a way to a temple in a Korean mountain. When it's been the Full Moon traditional festival of August 15 in the lunar calendar (ch'usôk/han'gawi), and the government is vehement in its plan to raise the alcohol tax for soju, the common people/ordinary people (seomin/sômin) and those purporting to speak in their name are having a day. Ch'usôk and the lunar new year are the times when the mood of the populace (minsim 民心) gets gauged. People go down to their homeplaces, and politicians like members of parliament get to hear what the ordinary people think - and for that the traditional site is the "traditional marketplace" (chaerae sijang) where the common people (seomin) can be met. And the mind of the people, minsim, was freezing, as conveyed by Ohmynews. Seeing what the feelings are in president Roh's political homeplace Busan is all the more interesting. "People in small businesses are all starving to death, so what's the point with coalition government? What's it got to do with us?"" Yi Sang-gwôn of Hannaradang (GGP) whose constituency is Jin-gu, Busan, tells what he heard from a shopkeeper in the Busan Central Market: "president doesn't concentrate on people's livelihood (minsaeng) but takes up all kinds of topics which have nothing to do with common people." Rep Yi added also that many had pleaded Hannara-dang not get too much involved with the president but work incessantly for the people. 여야를 막론하고 의원들이 귀에 못이 박히도록 들은 한가위 민심은 "먹고살기 힘들다"는 서민들의 한탄이다. Korean sign language for soju. Such honesty! From the sign language page of the Northern Jeolla Internet Education Broadcasting (?). The other issue involving the common people is the price of common people's alcohol, soju. Chosun Ilbo writes of the government plan to raise the tax of distilled liquors (chûngnyuju), like soju and whisky from 72 to 90%. Whisky has few open defenders against price hikes, but soju is different, for it's the drink of the common people (sômin) and a higher price affects the household budget - this are the basis of the opposition to the higher tax from the government party ranks. The government argues that the higher tax is needed not only to alleviate the increasing costs of medical care due to increased drinking, but also to add to the lacking tax revenue. in regard to what he does not know, shows a cautious reserve. 권 의원은 재산 및 자녀 유학 문제로 공격 받은 적이 있다. 이른바 ‘위장 서민’ 논란이다. 작년 17대 총선 당시 경쟁자였던 한나라당 박주영 후보 측에서 강하게 제기했던 내용이다. 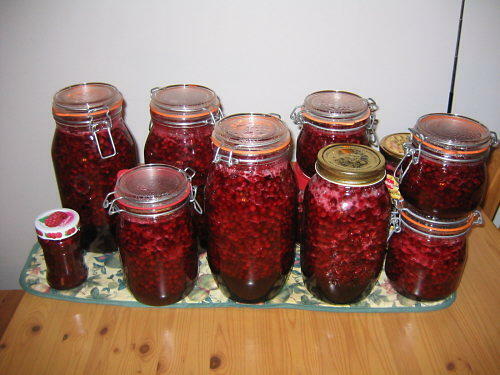 한나라당은 당시 권 후보에 대해 “시가 9억 원을 호가하는 55평형 빌라를 소유하고 있다”고 주장했다. 권 후보 소유로 돼 있는 서울 세곡동 소재 520평의 논이 시가 12억 원에 달한다며 부동산 투기의혹도 제기했다. 미 명문사학 코넬대 사회학 박사 과정에 있는 딸과 프랑스에서 건축디자인을 공부하는 장남의 해외 유학도 도마에 올랐다. 당시 권 후보는 강남 빌라에 대해 “재산신고 다 했고 호화빌라도 아니다. 파리특파원으로 있다가 돌아와 후배들의 강권으로 은행 부금까지 받아 장만한 기자아파트로, 취득과정에 한 점 부끄러움이 없다”고 해명했다. 두 자녀의 유학에 대해서도 “둘 다 결혼 뒤 맞벌이를 하고 융자를 받아 유학을 갔으며 호화유학도 아니다. 서민층은 유학도 못 간다고 느끼는 것 자체가 문제다”라고 말했다. There was also a message worth reading (I don't know about other, but for me at least) by a frequent contributor Yu Min-ho at the Jinbonuri message board with the title "Why common people like Park Chung-hee", but I'll leave that for another time. 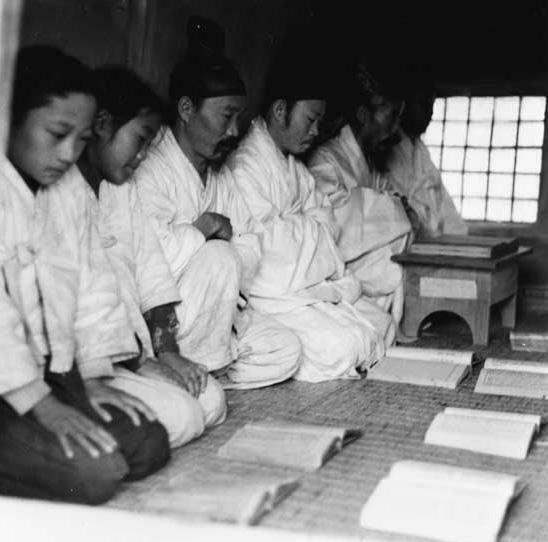 Instead of Sanchon Hunjang the blogger, here's the hunjang from Daegwallyeong in Gangwon-do with his disciples in 1959. No matter how he examined the note, the leader couldn't make sense of it. His concubine took a glance at it and immediately started laughing. "What are you having such a hard time with? The 'day 日' is written very long so it's a long day. The 'heart 心' is missing a dot, so it is '무점심 無點心,' he hasn't had any lunch. The 'person 人' is written very small so it is '소인' or 'I.' And 'stomach 腹'is missing a line, so it is empty inside. Since this blog likes to present itself as a serious place, even a note about two pieces concerning entertainment has the words "class" and "region" in the title. But as the pieces do address these issues, hunjangûi karûch'im can maintain its facade. In a recently airing drama Hanûrisiyô ("You are the heaven" or something), which has a love story between a TV entertainer (t'aellônt'û, "talent") and a make-up artist (punjangsa), a piece of dialogue has raised the ire of the association of broadcasting make-up artists. In it a family member of the entertainer scolds him for going out with a mere make-up artist, when there are CEO's daughters and hospital owners' daughters around. The association demanded an apology, which was promptly aired. Chosun Ilbo also has a longish interview on the all-Korean singer Na Hun-a (羅勳兒, real name Ch'oe Hong-gi), who is nearing the 40th year of his career. I don't really know what hits Mr Na has had and haven't listened to his music, but he surely is an interesting case of Korean popular culture. And Grandfather Kwôn, who has been one of my research informants and whom I've introduced for example in this entry, told that Na Hun-a was a customer in the men's clothing business that he used to have in the 1970s. 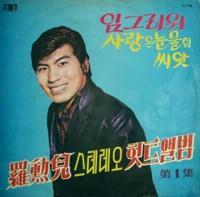 ― When talking about Na Hun-a, one can't leave aside the rivalry with Nam Jin in teh 60s and 70s. "It was symbiosis and coexistence (共生共存), it was a wonderful time. We were really contrasts. Nam Jin was from Jeolla province, had a whitish complexion, was good-looking and urbane, and I was the country-boy (ch'onnom) from Gyeongsang, dark, looked like a cow-thief. It was also associated with the rivalry between the political representatives of the region, Kim Dae-jung and Kim Young-sam." When Taehan Maeil Sinbo [March 10, 1910] asked about foreigners' impression of Korea -- "Is the image of Korea in the eyes of Europeans and Americans a true view of Korea? Or is the image of Korea in the eyes of Japanese a true view of Korea?" -- it assumed that the former wass indpendent of the latter. But just as with Korean self-knowledge, Western understanding of Korea was alsos engaged with Japanese colonial discourse. Although these theories were variously, even critically, treated in some Western accounts, the fact that the principal subjects such as Jingû and Mimana came to be reproduced shows how Japanese colonial discourse had insinuated itself into Western knowledge on Korea. Able to shape Korean nationalist self-perceptions, Japanese colonial writing also was the source of information for much Western writing. Knowledge about Korea -- whether inside peninsula, in Japan, or in the West and whether about the peninsula's present or its past -- came to be deeply informed by the politics of colonialism. The passing away of Venerable Beopjang of Jogye Order was given attention not only because of his standing as the head of the biggest Buddhist order of Korea but because he donated his earthly remains to scientifical and societal use so that the Buddhist cremation funeral tabisik was not held. Kyunghyang Sinmun, Chosun Ilbo (Korean, English), Hankyoreh (Korean, English) had editorials on the topic. Oranckay conveys the last message of Venerable Beopjang, written in Classical Chinese, with a Korean translation added by the Jogye Order. Oranckay has done the English translation (at this writing he says the translation is "in progress"). In the tradition of Hunjangûi karûch'im, with thanks to Oranckay for the inspiration, I'll also add my own translation. As the readers of this blog are surely aware of, I'm only a hunjang imposter, so the translation is from the Korean verse, with some hints from the commentaries of Oranckay's post. For half a century, the work of Marshall Sahlins has been definitive for anthropological debates about culture, structure, history and the global system. His attention to historical and present social forms in a wide range of ethnographic areas, such as the Pacific, China, North America and Europe, demonstrates the power of cultural comparison to reformulate social theory. One focus of his comparative work is Western cosmology, the culturally specific categories and values which underlie our ideas about the moving forces of social life. Professor Sahlins has been invited by the Finnish Anthropological Society to deliver the 21st annual Edvard Westermarck memorial lecture. The topic of his lecture is "Anarchy, Equality and Hierarchy: A Western Metaphysics of Order". The video snippet about the Garak Market, taken from the DVD "Sounds of Seoul Marketplaces" has some interesting pieces of info concerning auctioneering, which is how the agricultural products are sold in that marketplace. Here an auctioneer explains that most of what he talks in an auction is meaningless babble (sounding something like aariariariari) only to encourage the bidders, and only the accepted bid and the bidder are announced in clear language, since they don't always show up in the screens. Only from this video I learn that what I've taken to be just simply "auction" (huutokauppa, kyôngmae) is "English auction" to be exact, the auctioneering beginning from a certain price and the merchandise going to the highest bidder. A type of sequential second price auction, similar to an English auction in which an auctioneer regularly raises the current price. Participants must signal at every price level their willingness to stay in the auction and pay the current price. Thus, unlike an English auction, each participant must bid at each level to stay in the auction. The auction concludes when only one bidder indicates his willingness to stay in. This auction format is also known as the button auction. And I also learn about "Dutch auction" in which the auctioneer sets a price from which he starts lowering it until someone bids it. Below is a captured image from the flower market (hwahwe花卉 sijang), where a man inspects the flowers before the auction. This is the second installment of my introduction to the short video snippets taken from the DVD "Sounds of Seoul Marketplaces", originally published by the Seoul Museum of History. The links to the 2 to 10 minute pieces at the SNU Visual Anthropology Archives are in my earlier note. This one is Traditional Marketplace (jaerae sijang) (link to the video, 10:38), shot at Moraenae Market in Namgajwa-dong, Seodaemun-gu, which has traditionally been a site where many farming products consumed in Seoul were produced, and as a consequence there is said to be more chili mills and sesame oil presses than in other marketplaces. The criteria of a "traditional marketplace" isn't that clear - also Dongdaemun and Namdaemun are sometimes called that - but here the authors define it as an unspecialized site of merchandizing formed out of residents' need for daily necessities. A pangakan keeper grinds red chili. 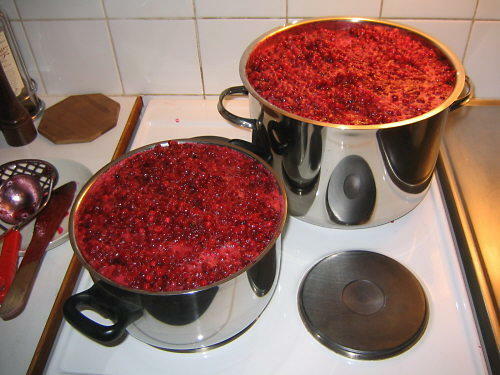 k'alkuksu ("knife spagetti") machine. The woman has placed the dough on the conveyor belt, and the machine cuts the dough into strips. Bedding factory: cotton filling of a quilt being made. Women putting a cover on a quilt, ibul. A grandfather tells how an impoverished yangban who could not but start trading was still too ashamed to announce his merchandise properly. A woman sings Kôndûrông* t'aryông, a Gyeonggi-do folk song of young women going out to trade. For more about Kôndûrông t'aryông, see here and here. 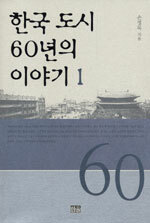 Book note: "60 years of Korean Cities"
The seminal researcher of Korean urban history, Son Chông-mok, has published a two-volume work 한국도시 60년의 이야기 (60 years of Korean Cities), which is a concise version of his earlier 5-volume work 서울도시계획사 (History of Urban Planning in Seoul) (article in Pressian). A cynic or someone accustomed to meticulously (I won't say 'well') planned modern Northern European cities might ask if there was any planning in Seoul to begin with, but I like to generously thing that people like Son surely did their best given the circumstances of enormous migration, strong-willed and authoritarian politicians, poverty, and belief in modernization. 강남개발은 기존의 강북을 시들게 하고 강남을 새로운 서울로 부상시키는, 엄청난 파장을 가진 대역사였다. 이러한 대역사가 개발수요가 무르익어서도 아니고, 차분하게 준비된 장기계획이 있어서도 아니고, 돌연, 우발적으로, 그리고 치밀한 사전계획 없이 시작됐다는 것은 충격적이다. 오로지 돌연히 등장한 경부고속도로의 도로용지를 확보하기 위해서였다. 이를 위해 세계에서 전무후무한 규모의 구획정리사업을 펼친 것이다. 그도 처음에는 313만 평으로 시작해 520만 평으로, 나중에는 정부청사를 옮긴다고 937만 평으로 용수철처럼 마구 늘어났다. 불쑥 나타난 경부고속도로사업 때문에 기존의 드라마 대본은 폐기처분해야 했다. 불도저 김현옥 시장은 애시당초 강남개발이 아니라 여의도를 거점으로 서울-인천축으로 성장할 계획이었던 것이다. 대본 없이 시작한 강남개발의 드라마는 첫 장면을 찍고 뒤따라 줄거리를 만들어냈다. 수요가 없는 강남개발을 시작하고는 땅값을 부추겨 개발을 촉진하기 위한 각종 시책을 양산한다. 공무원 아파트 건설, 특정지구개발촉진에 관한 임시조치법 제정, 강북 일대의 백화점, 고등학교, 술집 등의 신설억제, 고속버스 터미널 입지 마련, 영동 아파트지구 개발 등이 이어진다. 모두 강북을 고사시킨 가운데 벌어지는 일이었다. 오늘날까지 우리의 발목을 잡고 있는 '강남 불패'의 신화는 개발촉진시책을 끊임없이 생산해낸 정부가 30년 전부터 만들어낸 것이었다. Professor Son finds a comparison from where else than Japan: "if the Japanese urban planning can be compared to a still ocean, ours is Mokpo seashore after typhoon." 지난 60년 한국의 도시사가 '태풍을 맞은 목포 앞 바다' 같았다면 현재의 상황은 어떤가? 과연, 우리의 도시계획은 이제 '상식이 통하는' 경지에 들어섰는가? 여기에 대해 '이야기'는 언급을 피한다. 다만 말미에 '노무현 정권의 천도계획 전말'을 기술하면서 상식이 결여된 계획이 상식의 힘에 의해 무산되는 과정으로 그려내고 있다. 과연 그러한가? Below I had a note on the availability of six snippets from the DVD "Sounds of Seoul Marketplaces" at the Visual Anthropology Archive. The snippet one (click the captured screenshot) is of Gwangjang Market, adjacent to Dongdaemun Market between Jongno 5-ga and Cheonggyecheon. It used to be and to some extent still is a marketplace for clothing material and clothes, especially tradition ones (hanbok). Now that the everyday use of traditional-style clothing has dwindled since long, Gwangjang Market has had to adjust to that. In this case, the talk of the two merchants interviewed in the video about how business used to be so good earlier should not be just the ordinary businesskeeper discourse. For the 7-minute Gwangjang Market video, click the captured picture. Step 1: The owner of a hanok receives a visitor who offers him slightly better than the going rate for his property. The visitor reminds the owner that he is living in an official "hanok preservation area" and so the future increase in land valuation is likely to be lower than elsewhere since only traditional single storey houses are allowed. Step 2: Eventually, the owner is persuaded and sells his home. Step 3: The construction company for whom the visitor works promptly files plans to demolish the existing house and erect a new two-storey residence which will have some hanok features on the top floor.. Working closely with local government officials, they develop the plans so that they meet an interpretation of the relevant laws and regulations that officials at Chongro-gu have devised. Step 4: At this point, the value of the land effectively doubles and the construction company has the opportunity to market a very modern house in a very fashionable part of central Seoul and to realise a substantial profit. Obligingly, officials at Chongro-gu say they will classify erection of the new building as "Preservation and Redecoration" of a traditional hanok - providing an immediate cash grant of Won 30 million and a long term interest-free loan of Won 20 million. Step 5: Since the new buildings will be expensive, and to help their marketing, Chongro-gu officials also indicate that they will be willing to grant business licenses so that the owners of the new buildings can maximize the commercial value of their new acquisitions. The Losers: The original owners, cheated into selling their homes at low prices relative to what will be charged to new buyers a few months later. The Winners: Speculative construction companies. The Question to ask: Why do officials at Chongro-gu enable favored construction companies to treat their local residents in this way? Who do Chongro-gu officials really serve - residents of Chongro-gu or the construction industry? And why? It's unfortunate that the official Romanized form of the name of the administrative area, Gahoe-dong, is not used. Throughout the site, url included, it's written as "Kahoi-dong." For Mr Kilburn's case, it'd be important that there'd be no room for confusion due to different spellings. It is also unfortunate that there are inaccuracies and outright distortions in the Korean-language texts of the site. The area of Gahoe-dong, hasn't been "ordinary people's" (sômin) neighborhood as given in the main page of the site but the housing area of Seoul-residing yangban ruling aristocracy. In the matters of housing, construction, building companies and local authorities in contemporary Korea, referring to sômin, category of underprivileged people, is not surprising, but historically it's incorrects as far as the character of Gahoe-dong is concerned. The same goes for using minjung in describing the character of Gahoe-dong; it'd been more appropriate to make a connection to the yangban who lived in Gahoe-dong and served the Chosôn (Joseon) kings and the contemporary officials siding with speculators. The references to Japanese history schoolbooks and Dokdo are also totally unnecessary; it seems to have been used to emphasize the urgency and gravity of the matter, but they have nothing to do with this issue. Is Mr Kilburn aware what's been written in Korean on his behalf? What I wrote here shouldn't give the impression that I don't appreciate and support Mr Kilburn's efforts. An interesting anecdote given at the site: The hanok scenes of Kim Ki-duk's Pin Chip (Bin-jip, "empty house", Iron 6) were shot in Mr Kilburn's house. I appreciate your interest in www.kahoidong.com but I would like to disagree – to a certain extent - with one of your comments. You say "The area of Gahoe-dong, hasn't been "ordinary people's" (sômin) neighborhood as given in the main page of the site but the housing area of Seoul-residing yangban ruling aristocracy." This was certainly true while the Choson dynasty ruled Korea, but the character of the district began to change during the Japanese occupation. By the early 1920's the Yangban were in retreat. By the 1930's many of their large plots of land had been broken and smaller, more modest homes were built, though still following traditional ideas about design and construction. From this time forward, ordinary people gradually became the main residents. Even today, there are still a handful of large houses on spacious plots of land. Mostly, these are so discreet that you would not spot them from the streets where smaller homes now give the district its sense of history. that his father had lived there before him - but for how long I do not know. A couple of years ago, my predecessor's son (who was also born in the house) came to visit to show his own children where their grandfather had lived. They nosed around, we had some tea, and they said it all looked good but they much preferred their apartment in South Seoul, and off they went. - both Korean and non-Korean - when the weather is good and we leave the street door ajar for them. Alas, Choson civil engineers did not design their roads for motor vehicles. The new surfaces are gathering potholes and have lost much of their redness thanks to a wrongly applied spraying of oily fixatives to stabilize their surfaces. Lee Seung-yeon in the scenes of Kim Ki-duk's Bin jip (Iron-3) which were shot at David Kilburn's Gahoe-dong (Kahoi-dong) house.